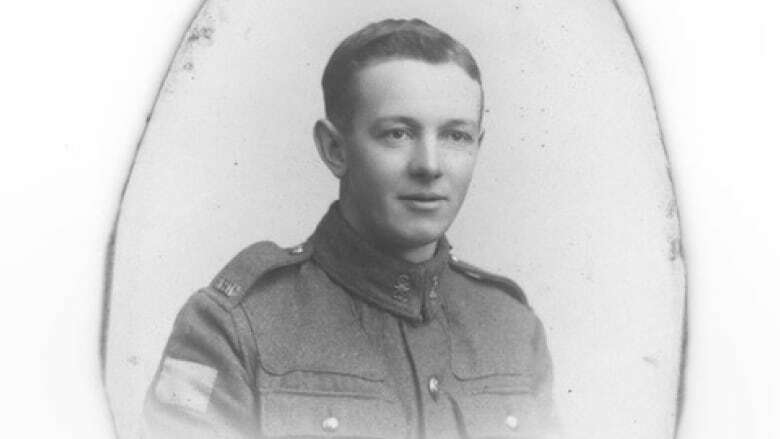 Nova Scotian Will R. Bird enlisted in the First World War after the death of his brother, Steve. At Vimy Ridge in 1917, the two came face to face. After a shift spent digging trenches and placing barbed wire near the front lines in Vimy, France, in 1917, soldier Will R. Bird needed sleep. It was past midnight when he and two other soldiers called it a night in a bivouac dug into an embankment. A ground sheet was fastened in place to keep the soldiers warm. Hours later, the sheet broke free and touched the face of the soldier from Nova Scotia, rousing him. A warm hand grabbed one of Bird's hands, and then the other one. "I had a look at my visitor," Bird wrote in his 1968 book Ghosts Have Warm Hands. "In an instant I was out of the bivvy, so surprised I could not speak. I was face to face with my brother, Steve, who had been killed in '15!" Steve told Will to gather his equipment and follow him. 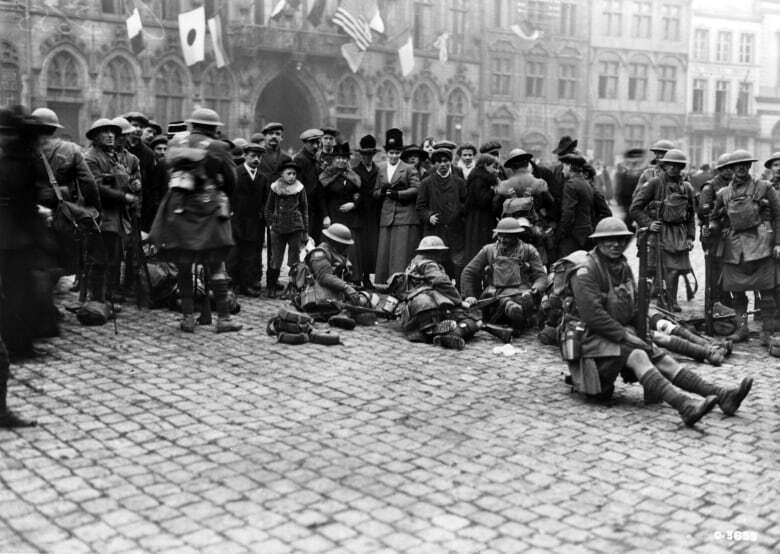 They walked through trenches and past makeshift shelters inhabited by men from Will's platoon, but when the gear on his shoulder fell off, he became separated from his brother, who had entered a passageway. By the time Will made it to the passageway, he had two options — going left or right. He went right and his brother was nowhere to be found. Will came back and went left, but was again unsuccessful. Tired, excited and sweating, Will dozed off as he leaned up against a wall that early morning. Soon after, Will was awoken by a soldier shaking him. He asked him why he was there. "They're digging around that bivvy you were in," the soldier said. "All they've found is Jim's helmet and one of Bob's legs." A German shell had landed a direct hit on where Will R. Bird was supposed to have spent the night. He told his miraculous tale of survival to the other members of the platoon. "About half of the guys seem to think, 'Sure, this could happen. We're living in a site of mass murder.' The other soldiers think he's pulling their leg or it's nonsense and he writes quite revealingly after a few days and the continuous death and destruction, most people forgot about it, but he remembered, he remembered his brother Steve, he remembered the warm hand," said Tim Cook, the author of The Secret History of Soldiers: How Canadians Survived the Great War. It wasn't the first time Bird came face-to-face with the ghost of his dead brother. He first tried to enlist in August 1914 when he was 23, but was turned down because he had bad teeth, which were broken while playing hockey. He was rejected on a second occasion because his brother had requested that he not serve. He also tried signing up with a battalion while working in Western Canada, but was also turned down. While working on a farm in Saskatchewan in 1915, Bird "saw a vision of his brother in his uniform and then soon after received a telegram finding out he was dead," said Thomas Hodd, the editor of A Soldier's Place: The War Stories of Will R. Bird. These ghostly encounters were foreshadowed by something Steve Bird once told his brother. In Will R. Bird's 1930 book And We Go On, he wrote that his brother said if he didn't come back from war, "maybe I'll find a way to come sometime and whisper in your ear." Upon receiving word his brother was dead, Bird returned home to Amherst, N.S., and enlisted on April 6, 1916, at the age of 24. Will R. Bird began his service as a sniper, but later became a patrolman. He saw action with the 193rd Battalion and then the 42nd Battalion, known as the Black Watch. Bird's book And We Go On seems to suggest he wasn't comfortable with being a sniper. After killing three Germans in quick succession one day, Bird had open shots to kill two more, and was encouraged to do so by his sniper mate. "A queer sensation had made me draw back," Bird wrote. "I handed him the rifle. "Go ahead yourself, if you want," I said, "I've had enough of this bloody game.'" In explaining his actions, Bird told a sergeant he had his "fill of such butcher work." 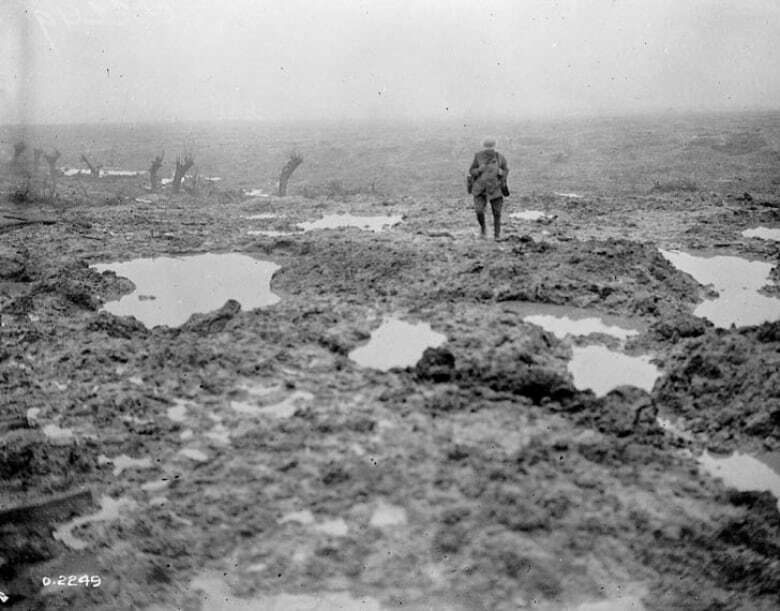 Bird served in campaigns in France — Amiens, Cambrai and Arras — as well as Passchendaele in Belgium, the notorious muddy 1917 battle that saw 4,000 Canadian soldiers killed and 12,000 more wounded. He received a medal for bravery on the final day of the war, Nov. 11, 1918, for service in Mons, Belgium. "He was in command of a section during an attack on Mons, and when the advance was held up by two enemy machine gun posts, he moved forward and brought in some heavy rifle grenade fire and forced them to withdraw," said Hodd. After the war, Bird ran a general store, worked at a post office and then began a career working for the Nova Scotia government. Along the way, he became a prolific author, writing both fiction and non-fiction books, as well as short stories. Hodd said that soldiers who wrote about the First World War tended to either provide a romantic description of it, or the opposite. "War for Bird seemed to meet in the middle of those two poles," said Hodd. "He recognizes the realism in terms of the risks and dangers of the war. "What he is more interested in trying to capture is the psychology of the soldier, the experience of the soldier, not just in terms of being brave or heroic, but also in terms of their fears, their concerns, their struggles." 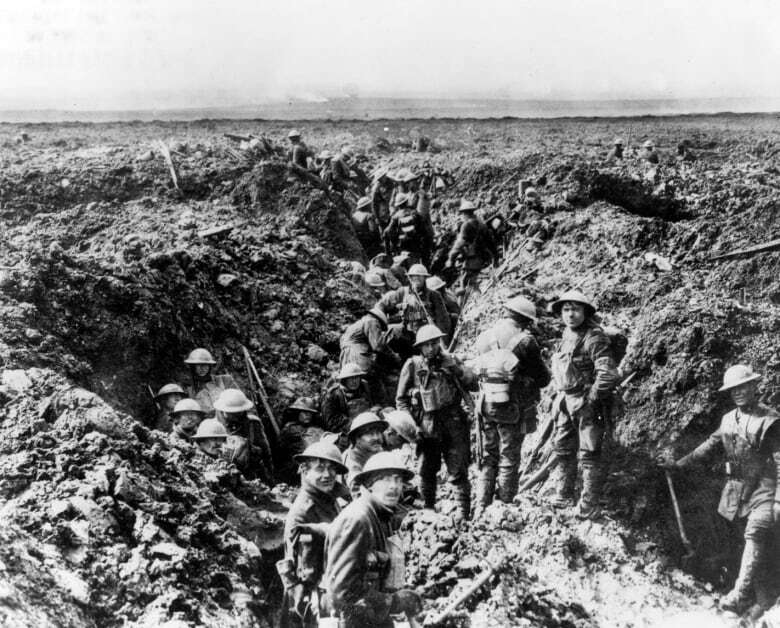 Cook's latest book looks at the life and culture of Canadian First World War soldiers in the trenches. In researching the book, he read thousands of letters and diary entries from soldiers. He said these accounts sometimes included supernatural stories. "I came across other stories, spectral beings, crisis apparitions as they're sometimes called in the literature, soldiers who heard voices guiding them along, seeing their mothers beckoning them out of danger's way, everyone carrying talismans and lucky charms to ward off death and destruction," said Cook. While Bird later learned that senior officers chalked up his tale of his brother saving his life to him drinking too much rum, Bird disagreed. For starters, he said he never took rum rations. "His warm hands had pulled me from the bivvy," he wrote in Ghosts Have Warm Hands. "His voice had been perfectly natural. He had the old half-grin I knew so well. He had saved my life." Bird died in 1984. He was 92. 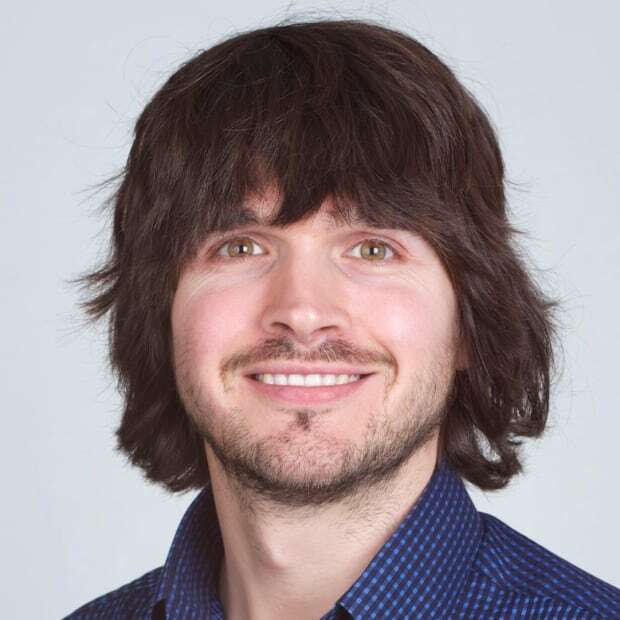 Richard Woodbury is a journalist with CBC Nova Scotia's digital team. He can be reached at richard.woodbury@cbc.ca.